For the current holder of the title Prince of Wales, see Charles, Prince of Wales. For other uses, see Prince of Wales (disambiguation). Prince of Wales (Welsh: Tywysog Cymru, Welsh pronunciation: [/təˈwəsog ˈkəmrɨ/]) was a title granted to princes born in Wales from the 12th century onwards; the term replaced the use of the word king. One of the last Welsh princes, Llywelyn ap Gruffudd, was killed in battle in 1282 by Edward I, King of England, whose son Edward (born in Caernarfon Castle in 1284) was invested as the first English Prince of Wales in 1301. 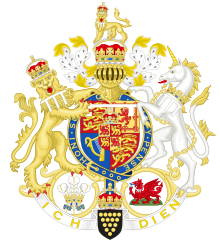 Since the 14th century, the title has been a dynastic title granted to the heir apparent to the English or British monarch, but the failure to be granted the title does not affect the rights to royal succession. The title is granted to the heir apparent as a personal honour or dignity, and is not heritable, merging with the Crown on accession to the throne. The title Earl of Chester is always given in conjunction with that of Prince of Wales. The Prince of Wales usually has other titles and honours. The Prince of Wales is the heir apparent of the monarch of the United Kingdom. No formal public role or responsibility has been legislated by Parliament or otherwise delegated to him by law or custom, either as heir apparent or as Prince of Wales. The current Prince now often assists the Queen in the performance of her duties, for example, representing the Queen when welcoming dignitaries to London and attending State dinners during State visits. He has also represented the Queen and the United Kingdom overseas at state and ceremonial occasions such as state funerals. The Queen also has given the Prince of Wales the authority to issue royal warrants. For most of the post-Roman period, Wales was divided into several smaller states. Before the Norman conquest of England, the most powerful Welsh ruler at any given time was generally known as King of the Britons. In the 12th and 13th centuries, this title evolved into Prince of Wales (see Brut y Tywysogion). In Latin, the new title was Princeps Walliae, and in Welsh it was Tywysog Cymru. The literal translation of Tywysog is "leader" (compare the cognate Irish word taoiseach; the verb tywys means "to lead"). Only a handful of native princes had their claim to the overlordship of Wales recognised by the English Crown. The first known to have used such a title was Owain Gwynedd, adopting the title Prince of the Welsh around 1165 after earlier using rex Waliae ("King of Wales"). His grandson Llywelyn the Great is not known to have used the title "Prince of Wales" as such, although his use, from around 1230, of the style "Prince of Aberffraw, Lord of Snowdon" was tantamount to a proclamation of authority over most of Wales, and he did use the title "Prince of North Wales" as did his predecessor Dafydd ab Owain Gwynedd. In 1240, the title was theoretically inherited by his son Dafydd ap Llywelyn, though he is not known to have used it. 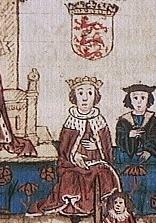 Instead he styled himself as "Prince of Wales" around 1244, the first Welsh prince to do so. In 1246, his nephew Llywelyn ap Gruffudd succeeded to the throne of Gwynedd, and used the style as early as 1258. In 1267, with the signing of the Treaty of Montgomery, he was recognised by both King Henry III of England and the representative of the Papacy as Prince of Wales. In 1282, Llywelyn was killed during Edward I of England's invasion of Wales and although his brother Dafydd ap Gruffudd succeeded to the Welsh princeship, issuing documents as prince, his principality was not recognised by the English Crown. Three Welshmen, however, claimed the title of Prince of Wales after 1283. The first was Madog ap Llywelyn, a member of the House of Gwynedd, who led a nationwide revolt in 1294-5, defeating English forces in battle near Denbigh and seizing Caernarfon Castle. His revolt was suppressed, however, after the Battle of Maes Moydog in March 1295, and the prince was imprisoned in London. 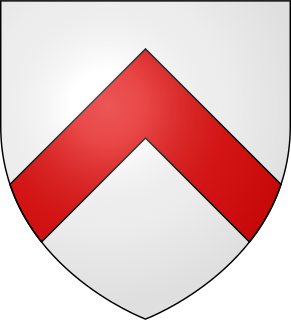 In the 1370s, Owain Lawgoch ("Red Hand"), an English-born descendant of one of Llywelyn ap Gruffudd's brothers, claimed the title of Prince of Wales, but was assassinated in France in 1378 before he could return to Wales to claim his inheritance. It is Owain Glyndŵr, however, whom many Welsh people regard as having been the last native Prince. On 16 September 1400, he was proclaimed Prince of Wales by his supporters, and held parliaments at Harlech Castle and elsewhere during his revolt, which encompassed all of Wales. It was not until 1409 that his revolt in quest of Welsh independence was suppressed by Henry IV. The tradition of conferring the title "Prince of Wales" on the heir apparent of the monarch is usually considered to have begun in 1301, when King Edward I of England invested his son Edward of Caernarfon with the title at a Parliament held in Lincoln. According to legend, the king had promised the Welsh that he would name "a prince born in Wales, who did not speak a word of English" and then produced his infant son, who had been born at Caernarfon, to their surprise. However, the story may well be apocryphal, as it can only be traced to the 16th century, and, in the time of Edward I, the English aristocracy spoke Norman French, not English (some versions of the legend include lack of knowledge in both languages as a requirement, and one reported version has the very specific phrase "born on Welsh soil and speaking no other language"). Nevertheless, according to conventional wisdom, since 1301 the Prince of Wales has usually been the eldest living son (if and only if he is also the heir apparent) of the King or Queen Regnant of England (subsequently of Great Britain, 1707, and of the United Kingdom, 1801). That he is also the heir apparent is important. Following the death of Prince Arthur, the Prince of Wales, Henry VII invested his second son, the future Henry VIII, with the title—although only after it was clear that Arthur's wife, Catherine of Aragon, was not pregnant; when Frederick, Prince of Wales died while his father reigned, George II created Frederick's son George (the king's grandson and new heir apparent) Prince of Wales. The title is not automatic and is not heritable; it merges into the Crown when a prince accedes to the throne, or lapses on his death leaving the sovereign free to re-grant it to the new heir apparent (such as the late prince's son or brother). Prince Charles was created Prince of Wales on 26 July 1958, some six years after he became heir apparent, and had to wait another 11 years for his investiture, on 1 July 1969. The title Prince of Wales is nowadays always conferred along with the Earldom of Chester. The convention began in 1399; all previous Princes of Wales also received the earldom, but separately from the title of Prince. Indeed, before 1272 a hereditary and not necessarily royal Earldom of Chester had already been created several times, eventually merging in the Crown each time. 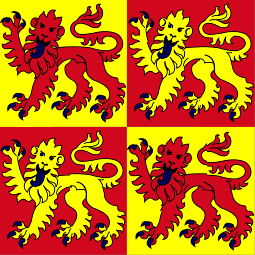 The earldom was recreated, merging in the Crown in 1307 and again in 1327. Its creations since have been associated with the creations of the Prince of Wales. On 31 October 1460, Richard of York was briefly created Prince of Wales and Earl of Chester, Duke of Cornwall and Lord Protector of England by an Act of Parliament following the Act of Accord, as part of his arrangement to succeed Henry VI as king instead of Henry's own son. However Richard was killed in battle soon afterwards. For theories about the origin of the ostrich feather badge and motto, see Prince of Wales's feathers. The "Prince of Wales's Feathers". This heraldic badge of the heir apparent is derived from the ostrich feathers borne by Edward, the Black Prince. The German motto "Ich dien" means "I serve". As heir apparent to the reigning sovereign, the Prince of Wales bears the Royal Arms differenced by a white label of three points. To represent Wales he bears the Coat of Arms of the Principality of Wales, crowned with the heir apparent's crown, on an inescutcheon-en-surtout. This was first used by the future King Edward VIII in 1910, and followed by the current Prince of Wales, Prince Charles. He has a badge of three ostrich feathers (which can be seen on the reverse of the previous design for decimal British two pence coins dated up to 2008); it dates back to the Black Prince and is his as the English heir even before he is made Prince of Wales. In addition to these symbols used most frequently, he has a special standard for use in Wales itself. 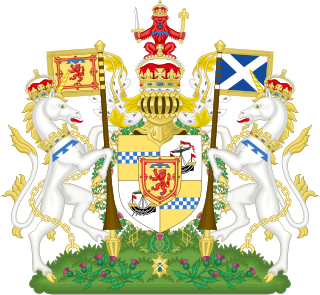 Moreover, as Duke of Rothesay he has a special coat of arms for use in Scotland (and a corresponding standard); as Duke of Cornwall the like for use in the Duchy of Cornwall. Representations of all three may be found at List of British flags. Princes of Wales may be invested, but investiture is not necessary to be created Prince of Wales. Peers were also invested, but investitures for peers ceased in 1621, during a time when peerages were being created so frequently that the investiture ceremony became cumbersome and was replaced with Introduction. Most investitures for Princes of Wales were held in front of Parliament. After falling into abeyance, the 20th century saw the practice of investing the Prince of Wales reintroduced. 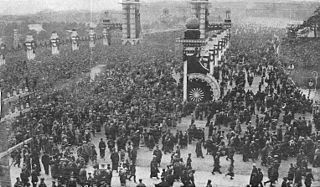 In 1911, the future Edward VIII underwent an investiture ceremony in Caernarfon Castle in Wales at the instigation of the Welsh politician David Lloyd George. Queen Elizabeth II's heir, the present Prince of Wales, was also invested there and underwent a similar ceremony in 1969. In the ceremony (in its most recent form), during the reading of the letters patent creating the dignity, the Honours of the Principality of Wales are delivered to the prince. The coronet of the heir apparent bears four crosses pattée alternating with four fleurs-de-lis, surmounted by two half-arches (the Sovereign's crowns are of the same design, but use four half-arches). A gold rod is also used in the insignia; gold rods were formally used in the investitures of dukes, but survive now in the investitures of Princes of Wales only. Also part of the insignia are a ring, a sword and a robe. Since 1301 the title Earl of Chester has generally been granted to heirs apparent to the English throne, and from the late 14th century it has been given only in conjunction with that of Prince of Wales. Both titles must be created for each individual and are not automatically acquired. The Earldom of Chester was one of the most powerful earldoms in medieval England extending principally over the counties of Cheshire and Flintshire. A Prince of Wales also holds a number of additional titles. As heir apparent to the English/British throne he is—if the eldest living son of the monarch—Duke of Cornwall. As heir apparent to the Scottish throne he is Duke of Rothesay, Earl of Carrick, Baron of Renfrew, Lord of the Isles, and Prince and Great Steward of Scotland. Individual princes have also held additional titles, which were theirs prior to becoming Prince of Wales. Before ascending the throne Henry VIII, Charles I and George V were each Duke of York. Prior to his father inheriting the English throne in 1603, the future Charles I was created Duke of Albany and Earl of Ross in Scotland. Both Prince Frederick (eldest son of George II) and his son Prince George (later George III) were Duke of Edinburgh. The title Prince of Wales is given only to the heir apparent—somebody who cannot be displaced in the succession to the throne by any future birth. The succession had followed male-preference primogeniture, which meant that the heir apparent was the eldest son of the reigning monarch or, if he was deceased, his eldest son and so on, or if the monarch's eldest son had died without issue, the monarch's second eldest son, etc. As such, a daughter of the sovereign who was next in line to the throne was never the heir apparent because she would be displaced in the succession by any future legitimate son of the sovereign. Along with the other Commonwealth realms, the United Kingdom in 2011 committed to the Perth Agreement, which proposed changes to the laws governing succession, including altering the primogeniture to absolute cognatic. The Succession to the Crown Act 2013 was introduced to the British parliament on 12 December 2012, published the next day, and received Royal Assent on 25 April 2013. It was brought into force on 26 March 2015, at the same time as the other realms implemented the Perth Agreement in their own laws. No woman has yet held the title Princess of Wales in her own right. Since the title of Prince of Wales is not automatic, there have been times when it was held by no one. There was no heir apparent during the reign of King George VI, who had no sons. Princess Elizabeth was heiress presumptive and was hence not titled Princess of Wales. There was also no Prince of Wales for the first several years of the reign of Elizabeth II. Prince Charles was not named Prince of Wales until 1958, when he was nine years old. The title of Princess of Wales has always been held by the Prince's wife in her capacity as spouse of the heir apparent and therefore future queen consort. The current Princess of Wales is Camilla, Duchess of Cornwall, who automatically assumed the title upon her legal marriage to Prince Charles. Camilla however has chosen not to be publicly known by the title due to its association with her predecessor, Diana. acceded to throne as Edward V 1483? The longest-serving Prince of Wales is the title's current holder, Queen Elizabeth II's son Charles. He is also the longest-serving heir apparent in British history. ^ Macdonald, Ken (18 January 2017). "Duchess of Rothesay opens Rowett research building in Aberdeen". BBC News. ^ "The Prince of Wales - Royal Duties". Clarence House. Retrieved 10 August 2015. ^ Glamorganshire. Philological.bham.ac.uk. Retrieved on 2012-07-15. ^ "The Prince of Wales — Investiture". Princeofwales.gov.uk. Retrieved 12 October 2008. ^ John Silvester Davies (1856). An English chronicle of the reigns of Richard II, Henry IV, Henry V, and Henry VI written before the year 1471: with an appendix, containing the 18th and 19th years of Richard II and the Parliament at Bury St. Edmund's, 25th Henry VI and supplementary a. Printed for the Camden Society. p. 109. Retrieved 26 July 2013. ^ Prince of Wales. britishflags.net. Retrieved on 15 July 2012. ^ Laura Smith-Spark (28 October 2011). "Girls given equal rights to British throne under law changes". CNN. Retrieved 15 July 2012. 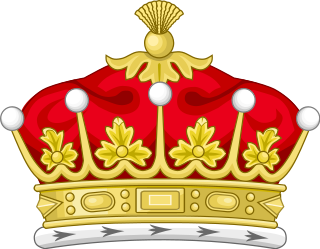 ^ Succession to the Crown Act. Parliament of the United Kingdom. ^ a b c d e f g h i j k l m n o p q r s t l Previous Princes. Prince of Wales official website. Retrieved on 15 July 2013. ^ Bryan, Nicola (9 September 2017). "Prince Charles is longest-serving Prince of Wales". BBC.com. Retrieved 11 September 2017. Wikimedia Commons has media related to Princes of Wales. Princess of Wales is a British courtesy title held by the wife of the Prince of Wales, who is, since the 14th century, the heir apparent of the English or British monarch. The first acknowledged title holder was Eleanor de Montfort, wife of Llywelyn ap Gruffudd. It has subsequently been used by wives of post-conquest princes of Wales. The Earldom of Chester was one of the most powerful earldoms in medieval England, extending principally over the counties of Cheshire and Flintshire. Since 1301 the title has generally been granted to heirs-apparent to the English throne, and from the late 14th century it has been given only in conjunction with that of Prince of Wales. Duchess of Cornwall is a courtesy title held by the wife of the Duke of Cornwall. The Dukedom of Cornwall is a non-hereditary peerage title held by the British monarch's eldest son and heir. The current Duchess of Cornwall is Camilla, Duchess of Cornwall, since her 9 April 2005 marriage to Charles, Prince of Wales. Prince and Great Steward of Scotland are two of the titles of the heir apparent to the throne of the United Kingdom. The current holder of these titles is Prince Charles, who bears the other Scottish titles of Duke of Rothesay, Earl of Carrick, Lord of the Isles and Baron of Renfrew, and is known outside Scotland as the Prince of Wales.